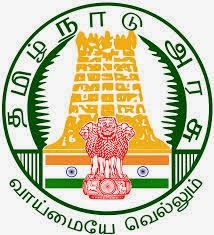 MRB TN Staff Nurse Recruitment 2015: The Tamil Nadu Medical Service Recruitment Board has announced the notification for the Nursing vacancies 7243 posts. The eligible and interested candidate applies through online mode at the official website. Here we provide the detail notification of MRB TN Staff Nurse Recruitment 2015. The date of the online registration starts from 19-04-2015 and application registration end on 11-05-2015. The candidate before the May 11th to apply this job notification. It is the contract and consolidated basis job of the Nursing recruitment in the Tamil Nadu Medical Service Recruitment Board. In the out of 7243 posts, 6792 posts women candidate only eligible to apply. The detail information like as the qualification, age, application fees, date and others given here. The candidates should have completed the Nursing Degree or Diploma Nursing from a Government recognized institution and they are permanently registered with the Tamil Nadu Nurse and Midwives council on before the date of the notification. For the all category candidate's age must be minimum 18 years and maximum age limit 58 years. It has included the Ex-Service women. The selection of the recruitment based upon the written test during the 2:30 hrs and maximum mark is 100. There is no negative mark for a wrong answer. This selection will make the initial for 451 posts (both women and men candidates eligible). The remaining posts are reserved for the women candidates as per the rules.